After visiting Camp Linwood in August, Jerrie, Armani Rae and I were excited to plan a trip for our group to visit. We had set a date in October with the hopes of giving our group something active yet fun to do for Halloween. Everything was set, we were going to Camp Linwood on Saturday, October 29, for some zipline fun, rock wall climbing, low rope team building challenges, and smores by the fire pit. Then Mother Nature happened – it snowed! Camp Linwood got close to 14 inches of snow. Yeah, as a snowboarder, we should be jumping for joy, but its October! 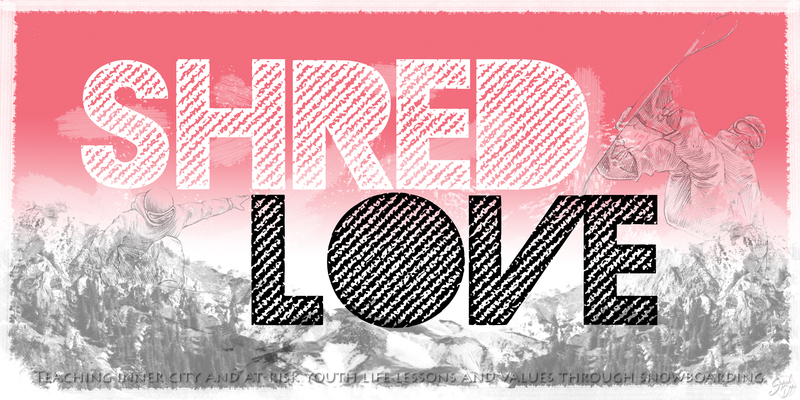 That marked the first time a Shred Love event had to be rescheduled. Take two: Saturday, November 5th offered us the perfect conditions to take advantage of everything Camp Linwood had to offer – ziplines, rock wall climbing, low rope team building, smores, laughs, cheers of trumphet, and great people. Yeah, your eyes are deceiving you, he ziplined upside down! Be sure to check out our Youtube channel to see the rest of the videos. Don’t forget to subscribe! The biggest challenge was the rock wall climbing. Ask anyone, this wasn’t as easy as it looked. Well some did the rock wall climbing, others enjoyed the playground. And believe it or not, there several kids there that had never seen a tire swing. We finished the end of the day off with low rope team building challenges and smores. You can find the rest of the videos and pictures on our Facebook page. And if you haven’t already, add us as a friend. We’re currently lining up some interesting events for the upcoming season. In addition to our Learn to Ride program at Windham Mountain, we’re going snowshoeing as a part of the 17th Annual Winter Trails, joining the fight against breast cancer, and having a Family Day at Hidden Valley Club. Here’s to another great year with Shred Love! Join our newsletter and take part in some of the fun we have lined up.